Information about the coast protection scheme to protect our Clacton to Holland on Sea beaches, can be found in our Coast Protection area. 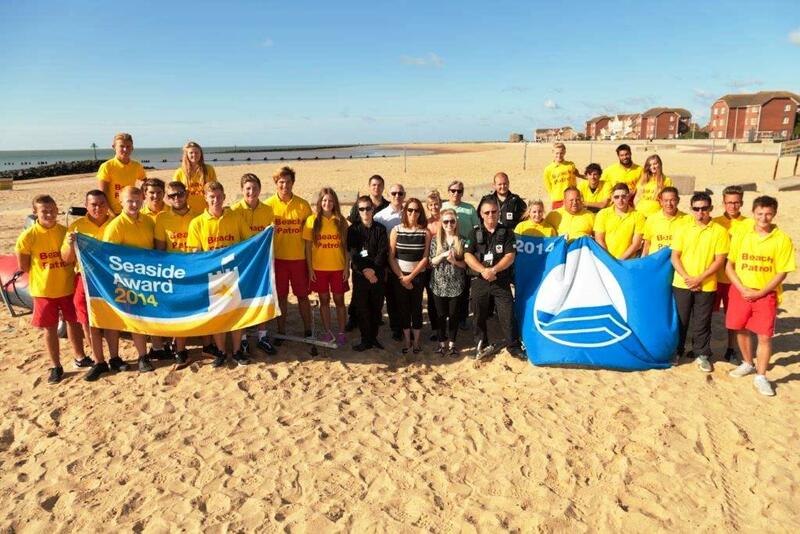 Every year thousands of visitors come to our resorts at Clacton, Frinton, Walton, Dovercourt and Brightlingsea and we employ a team of seasonal staff and beach patrollers dedicated to keeping the seafront areas as enjoyable for you as possible. Our seafront team are a font of seafront knowledge and can advise you on safety issues, tides, local and general information. They inspect the life saving equipment daily and inspect the seafront for any hazards and damage to property so that you can have an pleasant and safe time on the seafronts. Beach Patrol Staff will be present from Easter school holidays until the end of Summer school holidays from 11am to 6pm on Saturday, Sunday and all Bank Holidays. We also operate Monday to Friday 11am to 5pm during the school holidays. Beach Patrol operate from Clacton and Walton from Easter school holidays but also from Martello, Frinton, Brightlingsea and Dovercourt from Whitsun school holidays. For further information please contact Seafronts on 01255 686638. First Aid is available on a daily basis during the season, all staff carry first aid kits whilst on patrol, and the boathouses and patrol boats have first aid kits. Our staff are well trained and we are prepared for (almost) anything! Child Safety - A colour coded 'wrist band' scheme operates in Clacton, Frinton and Walton and is free to the public - in a typical season our seafront team help to reunite almost 90 missing children with their relieved parents! Child Education - We can offer schools a free guided tour which will encourage children to be safe on the seafront and make them aware of the day to day duties that beach patrol carry out. This will include a tour of our beach patrol office, safety of equipment used, weather safety warnings and how to stay safe in the sun. If you would like more information or would like to book a tour for your school please contact Seafronts on 01255 686638 or email seafronts@tendringdc.gov.uk. By the end of the season our staff will have dealt with over 1000 incidents, and will be looking forward to a well-earned break!